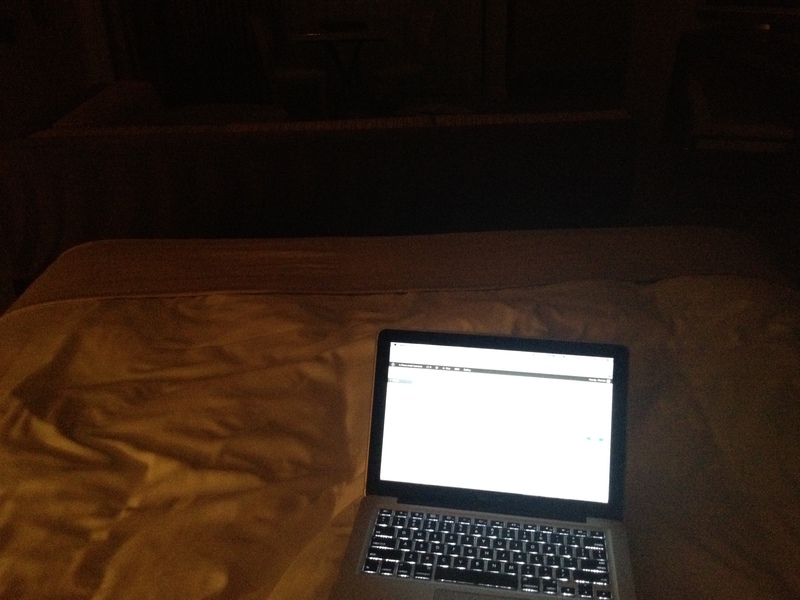 As I write this, I’m sitting in my hotel bed, 400 miles away from you. And in just less than an hour, it will be our anniversary. But I am here and you are there. And as much as it pains me to be away from you, I am here because of your endless, unwavering support, because you always encourage me to enjoy every amazing experience that comes my way. I am so grateful that you not only love and believe in me, but that you buoy me as I explore my world. The past year has been filled with things both amazing and challenging. And while our days have been filled with incredible joy, heartache filled an unfathomable amount of space in our lives. Thank you for remaining by my side through the weeks of optimism and the following weeks of disillusionment. As we faced each new month with renewed hope for another baby, I was ever grateful to have you by my side. As each cycle slipped through our fingers, I knew that I would crumble without you there. And now, as we each come closer to accepting that we’ve likely reached the end of our infertility journey, I know that as long as you’re by my side, I will survive this. Thank you for continually reminding me that our love can withstand anything as long as we continue to approach our marriage with an honest heart. Thank you for holding my hand when I cried and listening to me as I struggled to understand the whys. And most of all, thank you for reminding me that we aren’t defined by what we don’t have…but rather, by all that we do. I can’t imagine a day of my future without you in it. And with your hand clasped firmly in mine, I’m certain that we’ll be fine. Beautiful letter, Nichole. Happy Anniversary. Happy Anniversary. What a lovely letter. I am so proud of all that you do and love to watch you shine. We all eagerly await your return home….we miss you! Oh! You two have me all teary here! Seriously, you two are the best…and I wish you a very Happy Anniversary and many more years to come! You made me cry. Beautiful, heartfelt post. Sending you positive thoughts. oh my goodness. in tears. thanks for being so open. Beautiful letter about a beautiful life together. Happy Anniversary my friend.